Registration fee ($30 per child or family), and first month’s tuition are required to secure a place in a class. (August is calculated at half-month rate). Tuition is pro-rated for students who register mid-month at any point during the year. Class tuition will be charged (to the bank card on file) upon registration (covering months August through December) and January 15 (covering months January through May). Payment must be received prior to posting date if you wish to pay via cash or check. Class tuition will be charged (to the bank card on file) on the first of each month. Tuition is based on a year-long dance year (mid-August through May) and is divided into 9 installments for the convenience of the parents. Tuition remains the same each month regardless of the number of student absences or class meetings that month. Youth drop-in classes currently range from $15-$20 depending on the class offering and duration. Save money by joining on our unlimited class renewable memberships! All renewable drop-in memberships are month-to-month and cancelable at any time. See Youth Schedule for all details, individual class pricing, and links to register. Seasonal camps are normally one-week (5-day) programs offered during this regular yearly public, private and home-school breaks: Spring Break, Summer Break, Thanksgiving Break (3-day camp), and Winter Break. Camps typically are held from 9:30 am to 12 or 1pm pm daily. Full week camps are $159. Prices vary, see registration information for details. 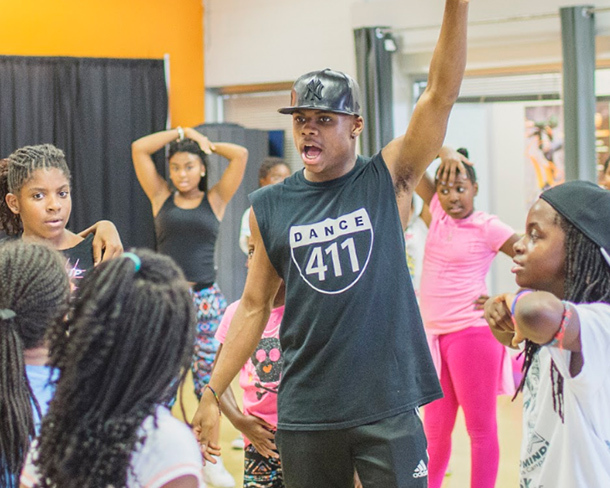 WHAT OUR PEOPLE SAYING ABOUT DANCE LOUISVILLE’S JR ACADEMY? Dance Louisville’s Jr Academy is amazing!!! … Classes are great and they have something for kids of every age.. The teachers are phenomenal and kids have a blast! This is the place for your kids to dance! Dance Louisville isn’t just about dancing, they help with confidence, and life lessons you can’t get at just any studio! So hope to see you soon so your son/daughter can experience all the greatness this studio has to offer! We LOVE Dance Louisville’s Jr Academy!! The Energy is Always positive. Its Like FAMILY when we’re there. They are organized and professional. It’s always a positive experience there.